What would you do with this empty space? Help me brainstorm!! So here are a few before images of the space, taken by me when I first visited the home, early in February. Visitors to the designer house will enter my space from this direction after leaving the kitchen. There will be a lovely view of the pond and gardens from this spot! The ample sunroom at the Bucks County Designer House is approximately 13'deep x 16'wide and has windows on three walls. It is sited directly off the kitchen in the designer house and will be the final room on the house tour. 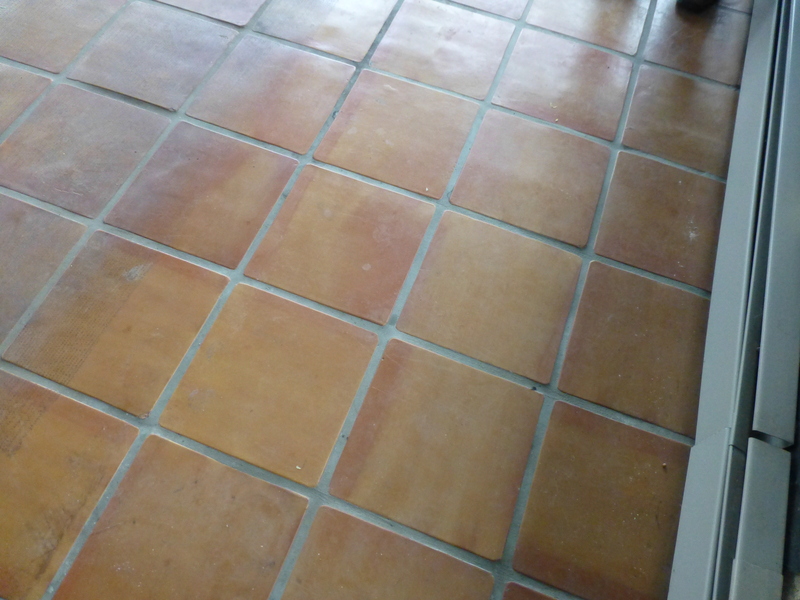 The floors of the sunroom are elegant terra-cotta tiles (which need a good cleaning)…I’m planning to incorporate the coral/pink/gold tones into the room’s design. I plan to install an 8’x10′ area rug (more on that later) and lots of fun vintage furnishings. Soon, I’ll share some fabric choices with you, along with the cool vintage items I plan to put in the room. I think I’ll do some fun things with the layout in the space as well…I like to do the unexpected so my space becomes more memorable. Stay tuned and feel free to weigh-in with your own ideas for the sunroom. What would you do with this empty space? Help me brainstorm in the comment section. I love to hear from you! Until next time: Sign up to receive my posts in your in-box. That way you won’t miss out on any of my updates! And please tell everyone about Kristine Robinson’s Blog…I need all the friends I can get! This entry was posted in Benefit, Bucks County, Charity, Color, Decor, Decorating, Designer House, Fabrics, Farm, Furniture, Gardens, Home, Home Decor, Interior Design, Pennsylvania, Renovation, Rug, Uncategorized and tagged Antiques, Color, Decor, Decorate, Designer House, Floor Plan, Gray, Interior Design, Sunroom, Terra-Cotta Floor, Tile, Windows. Bookmark the permalink. This is so exciting! So many opportunities to express your talents. Kristine, so excited to see you will be doing a room this year. I clicked over to see the dates of the tour, so i’ll have to pencil that in to come take the tour and see your room. 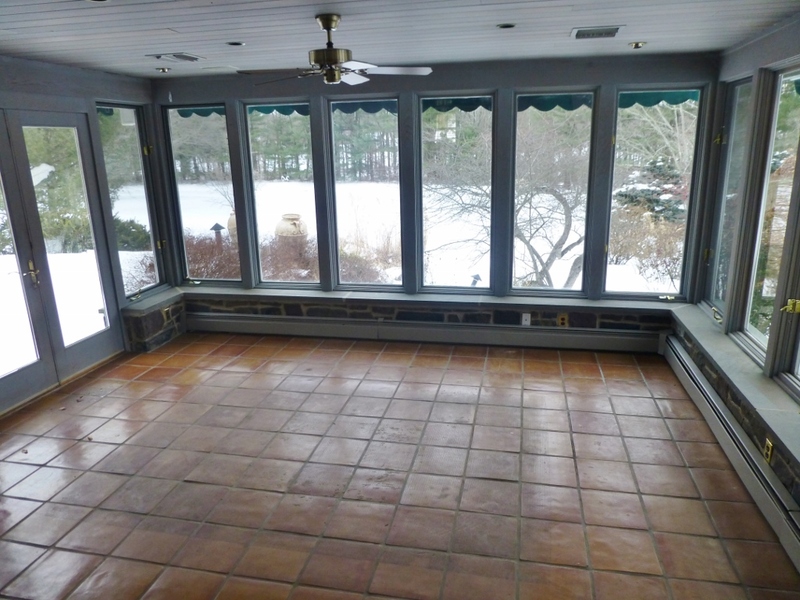 Looking forward to seeing what you do with the sunroom – what a great space with natural light. I also wanted to let you know that I’m participating in the Habitat for Humanity/Restore Montco Upcycle Challenge. I can email you with more details but there will be an open house to the public to tour the home. I’m super excited for the opportunity – especially to be able to give back with design. What a wonderful opportunity, Holly! Keep me updated on your progress and I’ll look forward to seeing the Habitat Home when it’s finished. Thanks for commenting–I love my Sunroom at the Bucks County Designer House…it’s going to be such a fun, vintage mix!